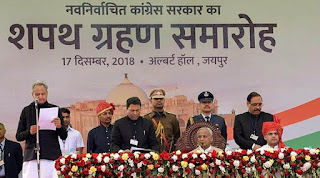 Rajasthan legislative assembly election in Rajasthan was held on 7 December 2018 to elect members of the Rajasthan Legislative Assembly. The election was held in single phase. Indian National Congress became the single largest party of the state in 2018 with 99 seats from 200 seat. BJP wins 73 seats with 38.8% vote share. 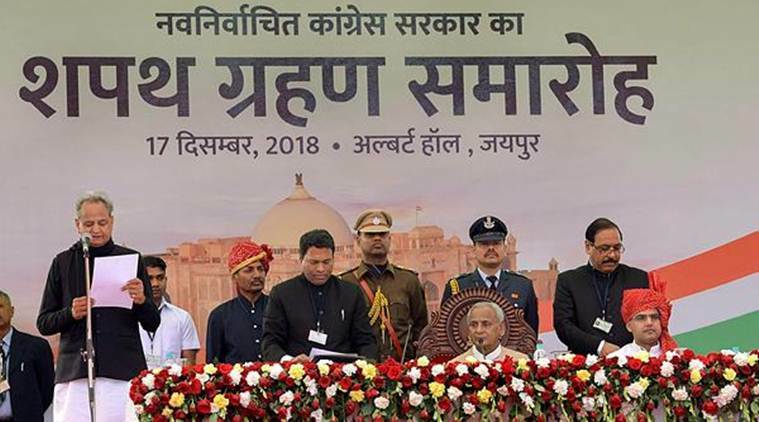 Senior congress leader Ashok Gehlot was selected to be Chief Minister of the state. Ashok Gehlot has recently become the chief minister of the state for third time. He served as Union Minister in Indira Gandhi, Rajiv Gandhi as well as Narsimharao governments. His first term as Rajasthan CM was from 1998 to 2003, while second term was from 2008 to 2013. Sachin Pilot has been selected to be deputy chief minister of the state for the first time. The second edition of service specific exercise AVIAINDRA between Indian Air Force and Russian Federation Aerospace Force (RFSAF) was held at Air Force Station Jodhpur, Rajasthan. The inaugural IAF-RFSAF Ex AVIAINDRA was conducted in 2014 and since then it is conducted bi-annually (twice a year) in both countries. The aim of this exercise is focused towards anti-terrorist operations in bi-lateral scenario. It also seeks to further enhance co-operation and understanding between Air forces of both countries in each other’s Concept of Operations. This edition of exercise is planned in two phases. The exercise is unique wherein foreign participant does not bring its air assets. In Russia IAF pilots flew alongside their Russian counterparts in RFSAF aircraft at Lipetsk in September 2018. Similarly in India, RFSAF pilots will fly alongside their Indian counterparts in the IAF aircraft, which are common to both Air Forces.